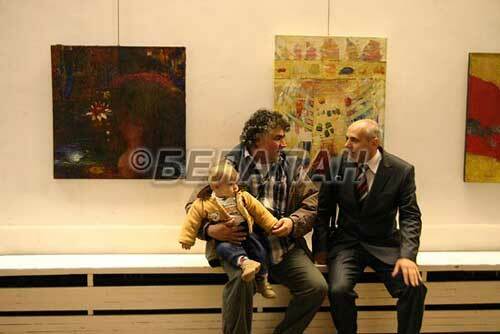 The international art exhibition "Together" was opened on the 22th of October at the Palace of Arts in Minsk. The exhibition features more than 180 works by artists from Belarus, Latvia, Lithuania, Poland, Russia, Moldova and Romania. A renowned Russian artist Viktor Orlov, Lithuanian artist Vitalijus Cepkauskas and Polish artist Andrzej Strumila are among the participants. 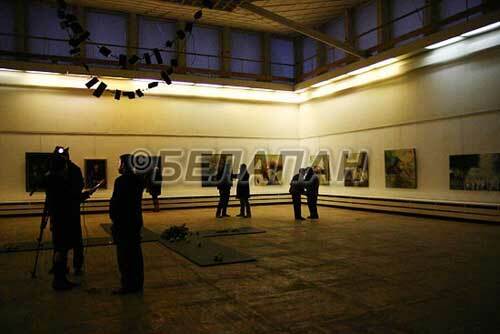 Belarusian artists showcase 35 works selected based on the results of the 1st Belarusian Biennale of Painting, Graphics and Sculpture held recently in this September. Sergei Timokhov, deputy chief of the Belarusian Artists' Union, hits the high spots of the event in his brief interview to Belarusian ONT channel: "Lithuanian [artists] - as usual, stuck to their traditional manner, Latvian [artists] - very expressive, Moldovans - young artists, very energetic, everything bright and emotional as well. Russia brought the works in classical representative manner, quite restrained…"
The exposition includes the works of the guests of honor - famous Belarusian artist s Gavriil Vaschenko, Arlen Kashkurevich, Georgy Poplavsky, Zoya Litvinova, Gennady Shutov and Vladimir Savich. 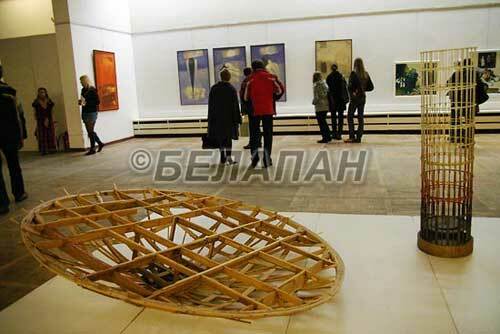 Also the collection of Spanish graphics from the stock of the Belarusian National Museum of Arts is on display. According to Anna Grinevich, deputy director of the Palace of Arts, the main goal of the exhibition is to bring together artists of the region and to establish partnership between artists' unions of the countries. The exhibition is open through November, 16.